Should We Stop Calling Kazakhstan an Autocracy? Nazarbayev says we should take Central Asia’s culture and history into account and quit calling him an autocrat. I know that we are often accused of autocracy. But how can one talk about autocracy, when every 4 or 5 years people vote to elect their president and parliament at free alternative elections. We are told to move faster towards democracy practiced by western countries, from the USA to Europe. We understand it all well. Democracy is a path towards development of humanity. We are making our way there. But we also have to consider that our country is an Asian society. Our traditions differ from Western ones. Our cultural and religious views are different. That is why we must pave our way carefully. In the full remarks, as posted on the president’s official website, Nazarbayev prefaces his defense by highlighting how far Kazakhstan has come since 1995. He says that after the Soviet Union collapsed Kazakhstan was desperately poor, had no experience in self-governing, and had few options. Nazarbayev does not mention Tajikistan specifically, but the reference is certainly implied as he notes how other CIS states experienced conflicts or civil war. A further implication garnered from Nazarbayev’s remarks is that if Kazakhstan had rushed into setting up some idealized version of a Western democracy, it would have disintegrated into chaos. “Nation-building can not be done on the basis of a strict timetable and utopian plans,” Nazarbayev said, urging others to take into consideration Kazakhstan’s system, history, culture, and traditions. Preparations for the 26 April election were efficiently administered, however, necessary reforms for holding genuine democratic elections still have to materialize. The predominant position of the incumbent and the lack of genuine opposition limited voter choice. A restricted media environment stifled public debate and freedom of expression. Election day generally proceeded in an orderly manner, but serious procedural deficiencies and irregularities were noted throughout the voting, counting and tabulation processes. Central Asians, for example, noted the importance of respect for seniority, reverence for parents and older people, and acceptance of gender hierarchies. They also pointed out the importance of “love for motherland.” Less than a quarter of survey participants said that individualism and competitiveness (the two traits associated with democratic consciousness) were among the human qualities they possessed or found important. This is perhaps what Nazarbayev meant when he said, “I would suggest our friends study our system, history, culture and traditions of the Asian society deeply.” Is one person’s strong leader another person’s autocrat? 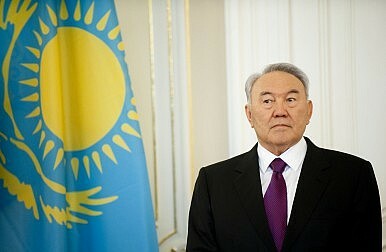 Many of those who use “autocrat” to describe Nazarbayev are deeply versed in Central Asian history and culture–they just also believe that a free press defines an open society, dissent and debate are necessary for generating better policies, and people ought to be able to practice their religions as they wish. Nazarbayev, put another way, is borrowing a Western policy and advising a kind of “strategic patience” in this regard. Seems to me to be an excellent argument for more Central Asian political scientists, not fewer. Not all election monitors were created equal.